1 – 31 July: As one of the newest vehicles to date, the Progetto M40 mod. 65 and its line feature the unique autoreloader feature, a mix of single-fire and autoloader mechanic. Get yours and feel the power of Italy! 7 – 9 July: Use this weekend special to stock up on Personal Reserves, as well as consumables. Tackle these missions and take home as much as you can! 14 – 16 July: As the title suggests, look forward to bonuses and discounts revolving around your crew. Make sure your tankers are happy, healthy, and experienced to get the most out of your war machines! 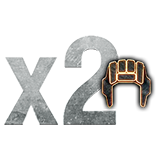 21 – 23 July: The classic XP Fever special is back. Roll out with your top-tier or Premium vehicles to collect as much XP as you can. Tip: You can also use this special to train your crew much more efficiently – just make sure “Accelerated Crew Training” is activated. 28 – 30 July: At the end of July, we’re giving it our all. Great bonuses, discounts, as well as missions, await you. Get yourself ready for the month of August! A huge mission with plenty of Summer goodies!